Feeding the nation’s beloved cats and dogs for more than a decade, popular organic dog food maker Lily’s Kitchen has been granted the Royal Warrant from HRH The Prince of Wales. 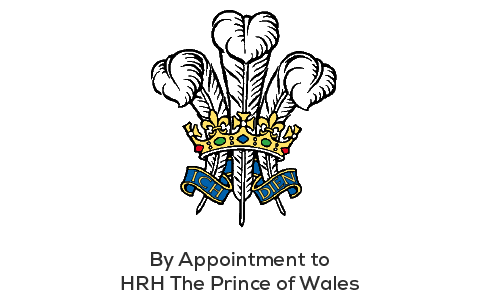 Royal warrants of appointment have a long history, having been issued since the 15th century to those who supply goods or services to royals, and certify a satisfactory trade relation between the grantor and the nominated company or goods. Warrants are currently granted for the Queen, the Duke of Edinburgh and the Prince of Wales; it takes at least five years of supplying goods or services to the member of the Royal Family before a being considered for recommendation. The organic food brand was created in Henrietta Morrison’s kitchen, when she discovered her border terrier Lily’s chronic itchy skin was being caused by a diet of mass produced dog food. Working with vets, nutritionists and herbalists, Henrietta set about creating special recipes at home which helped bring Lily back to health, with natural ingredients and no unnecessary additives or fillers. Ten years on, Lily’s Kitchen’s food for dogs and cats are more popular than ever, having been named UK’s Number One Ethical Pet Food Company since it launched in 2008. Commenting on the Royal Warrant accolade, Henrietta Morrison, founder of Lily’s Kitchen, said, “We are incredibly proud to have been granted the Royal Warrant from HRH The Prince of Wales and our tails simply haven’t stopped wagging since we found out! Next articlePHOTO COMPETITION: turn your dog into a cover star – and win yourself a holiday!